Well, here’s another 10 inch crochet square for you! Its worked in the same colours as my Big Framed Flower Square and the two would work really nicely together. It’s taken me a while to blog about this one because I’ve been super busy on my next big project (its another book!). 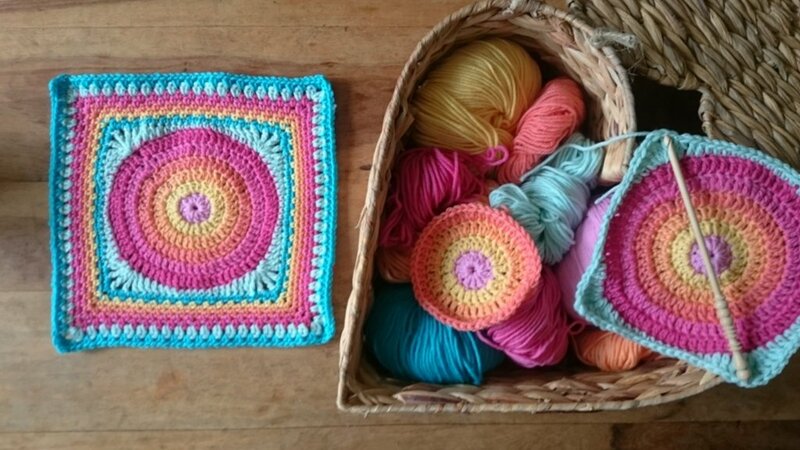 I really love this crochet square and I can picture it in all sorts of colour combinations. I’ve used Cascade 220 Superwash for the design but it would work up lovely in DK weight too. If you are a fan of Sirdar Hayfield Bonus or Stylecraft Special DK yarns, you could probably match the colours I’ve used. Or, at least a close approximation of the palette. The design is fairly quick to work up as there are no tricky stitches involved. 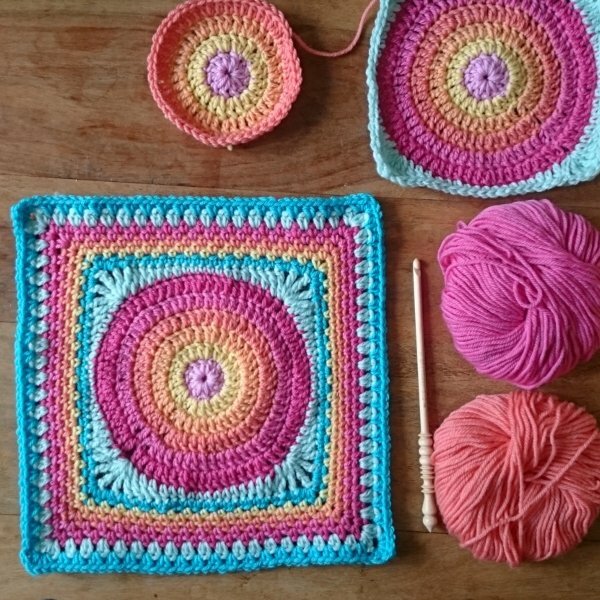 If you make it don’t forget to add your project to Ravelry, I love to see the colours and yarns people use and, of course, the finished object! 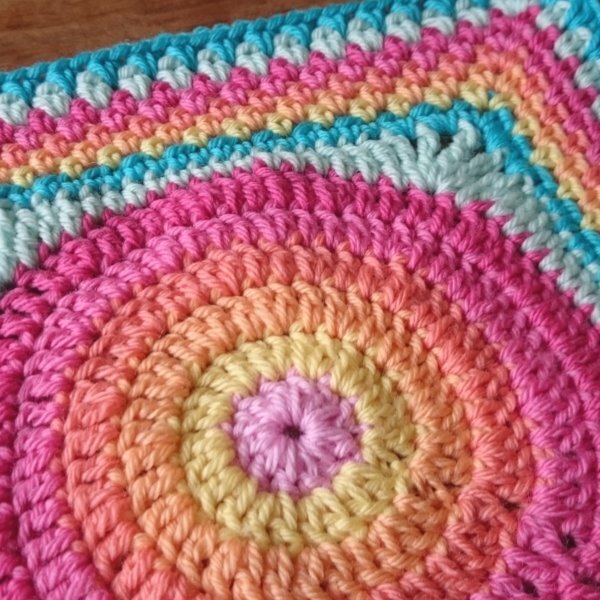 For this pattern you will need to know how to work in the round and basic crochet stitches. The pattern is available in US and UK crochet terminology.